PAGE TURNER: The bio, divided into six parts, also delivers a selection of Foote's speeches. “START reading the book with this question in mind: How does an individual from a small island attain the position of President of the World Federation of Consuls?” Professor Kenneth Hall, former Governor General of Jamaica, has long been an admirer of Arnold Foote, whose biography, The Making of a Global Visionary, captures the eventful life of a Jamaican man who made the journey from humble beginnings to the rank of a global leader, inspiring countless people along the way. Penned by quality management consultant and education specialist Angela Ramsay (whose 17 books include five published by UNESCO), the thick hardcover volume comes in six parts exploring a life well lived in the service of country and fellow man. The reader not only gets a solid sample of the journey Arnold Foote has made – the Jamaica College years, venturing into North America, entering the consular corps, not to mention “the joys and tribulations of building a career and a business” – but also the strategies that helped him prevail when the going got really tough. 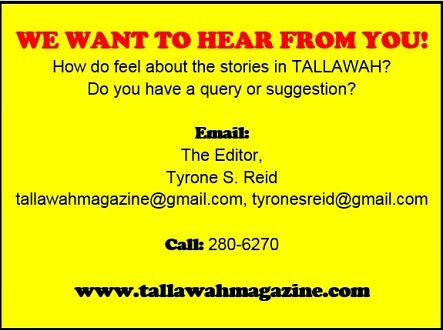 The bio is subtitled “A Journey through Love, Faith, Injustice and Vindication,” so the reader is bound to come across passages riddled with revealing anecdotes that make for a real page-turning experience. How did he overcome the events of 1974? As the publishers point out, Foote was all set to have “a glorious future” until the events of that year threatened to thwart all that, “yet his strength and fixity of purpose became even more apparent, and he lives a more fulfilling life than he ever imagined possible.” In other words, a fine example of spirit indomitable. 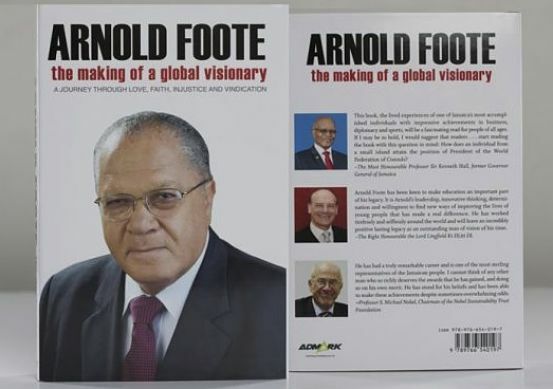 Arnold Foote: The Making of a Global Visionary was published by Admark Advertising and Marketing Ltd, in partnership with China’s Regent Publishers.